Worcestershire Film Festival arrives in Worcester very soon! What's that, you didn't know? Well you do now. This lively and FREE weekend festival highlights the bounty of UK film making and encourages you lot, the general public, to head on over and get involved. After having a brilliant first year, this is the second time the event is coming to the city of Worcester and there are plenty of treats in store for those who seek it. With the BBC and the Central News both coming along to get involved in the (lights, camera…) action last year, you can expect even bigger things from the festival's organisers this time round. If you're in to making your own films then this is the perfect opportunity to be inspired right on your doorstep and get networking with other film buffs too. If you love watching films (who doesn't? ), then it's something really enjoyable and a little different to do on a chilly November weekend. The Hive and Worcester Arts Workshop is where all the screenings are taking place, whilst the workshops are happening at the Jenny Lind Chapel in the City Centre Campus – University of Worcester (formerly Worcester Royal Infirmary). 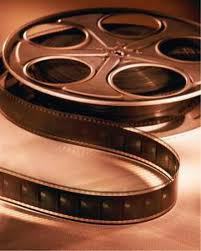 Check out the website for all the info about the upcoming showings and events – www.worcestershirefilmfestival.co.uk. So what better to do on the 15th, 16th and 17th of this month than to soak up the creative atmosphere and relish the ambience of some free films while supporting the work of filmmakers locally and from further afield.